Where the burden of increasing costs, poverty ridden existence, arising out of pressure to derive more yield from the same land, use of chemicals to boost land fertility, debt traps, weather disturbances, paltry prices for the crop yields, heavy reliance on monsoon, cultivation subsidies had made agriculture a unappealing, ungainful and a dead profession. This was evident in the migration of rural youth to non-farming vocations and their relocation to cities, selling their farmland for other infrastructural purpose. Until Shiv Yog Master His holiness Dr Avdhoot Shivanand ji stepped in. By his own admission and observation, the Shiv Yog Guru says agriculture had reached a point of no return but it being the backbone of the nation and its economy, the issue required urgent redressal. In light of such a pressing need emerged Shiv Yog Cosmic Farming, secret wisdom of the Yajurveda which Shiv Yog Master decided to unfold in the greater interest of humanity, life and nature. 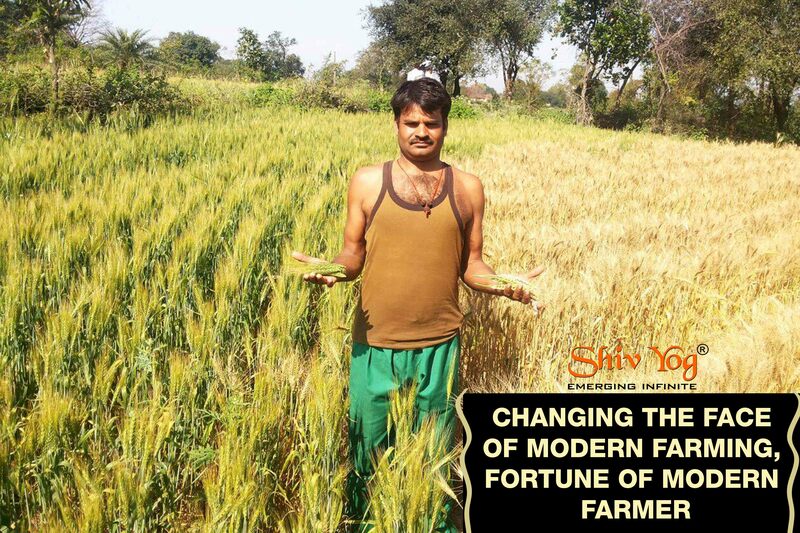 The Shiv Yog Cosmic Revolution was born in 2014 wherein the Dr Shivanand began imparting Shiv Yog Cosmic Energy empowerment to thousands of farmers at once, alongside training them in the finer key points of Shiv Yog Cosmic Agriculture modalities. 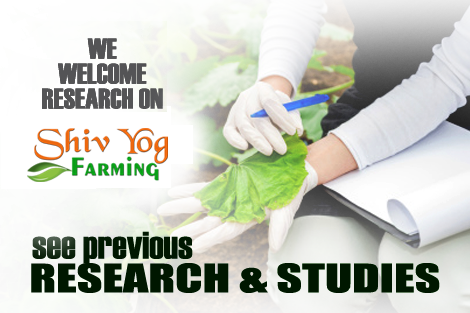 This training is conducted free of cost as service to humanity in massive learning camps across villages, rural belts and remote interiors of India where agriculture has rapidly declined in all ways. As the rural folk started embracing, performing and practicing this cosmic science wonder, they saw their crops multiply 2-8 times, quality of crop improve significantly, the taste of the food cooked using them transformed, they obtained abundant output, they progressed from zero balance to abundant bank balance, excellent cattle health, rich milk output, crop resistance, organic farming at zero additional cost among a plethora of other tangible and intangible benefits. Farmers around the country and now also around the globe are living of peace, prosperity, fulfilment, producing organic, nectar-filled food. The service to farmers an initiative of Dr Avdhoot Shivanand ji has surely benefited the cultivators but it has also had a tremendous positive impact on the quality of food produced and eaten, environmental ecosystem, preservation of natural habitat, agricultural employment, national economy, social atmosphere, animal husbandry and completely revolutionised farm and farm related activities.